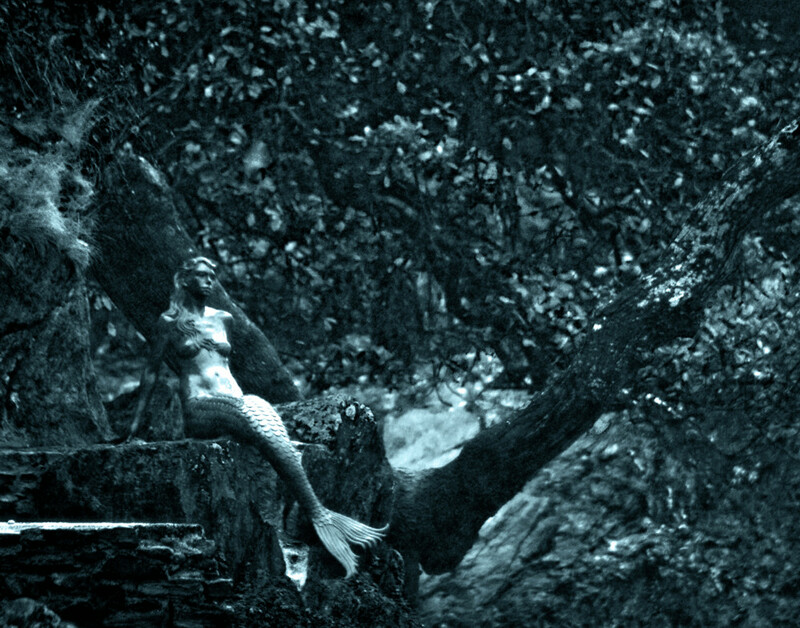 Mermaid statue "Miranda, Mermaid of Dartmouth" in England. 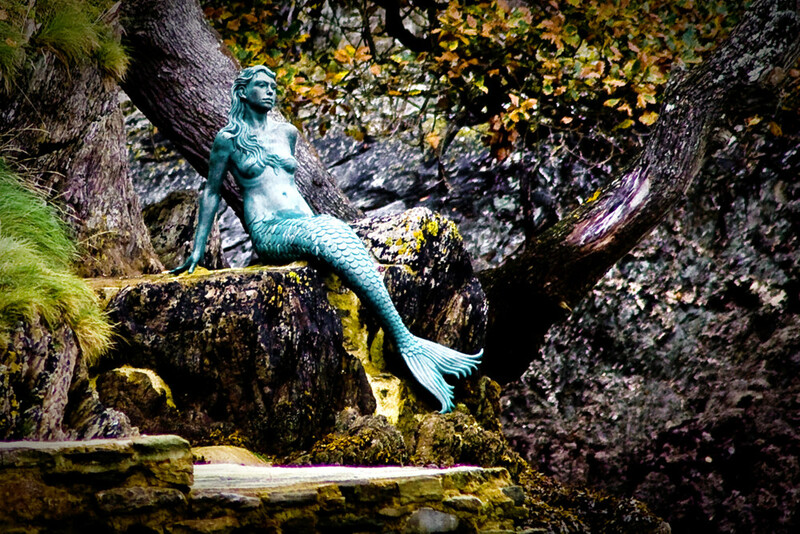 Mermaid statue “Miranda” near Dartmouth Castle. Photo by Mark Robinson. 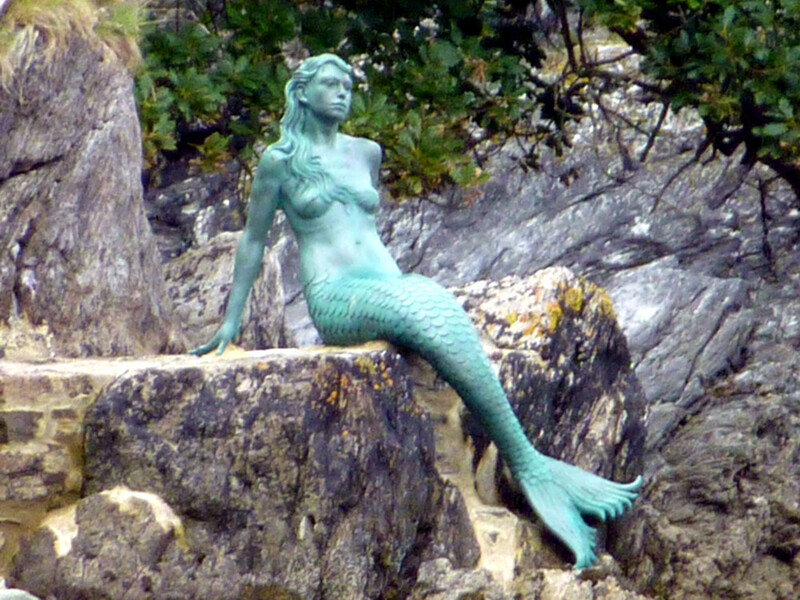 The life-size mermaid statue is known as Miranda, Mermaid of Dartmouth. It was sculpted in 2005 by Elisabeth Hadley as a privately commissioned art piece. 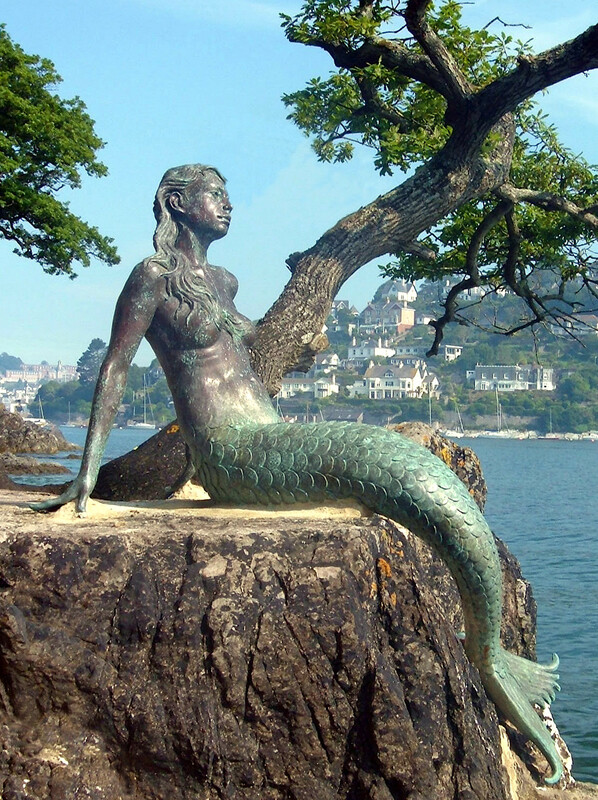 In 2006 the mermaid sculpture was cast in bronze and sited in its current location, where it is very easily seen from both the river and the turrets of Dartmouth Castle. It has become a tourist attraction in its own right, and there is a news story about Miranda in the December 2012 issue of The Dart. The sculpture was inspired by the 1948 film “Miranda“, in which Glynis Johns plays the role of the mermaid Miranda. 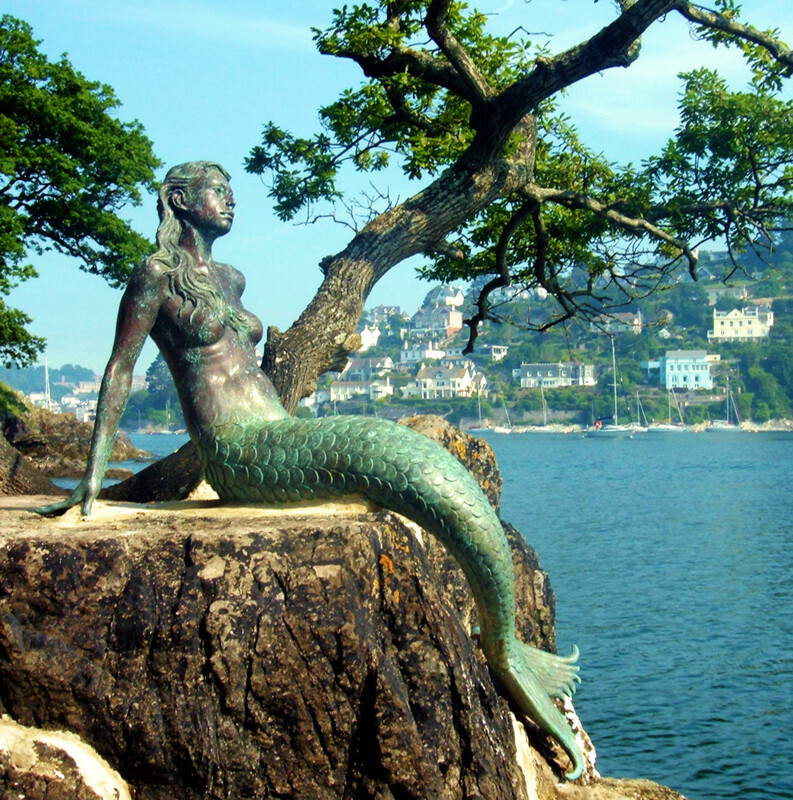 Mermaid statue – Miranda, Mermaid of Dartmouth. Photo by Carsten Wagner. The mermaid is by the water 1/4 from the right of the picture. 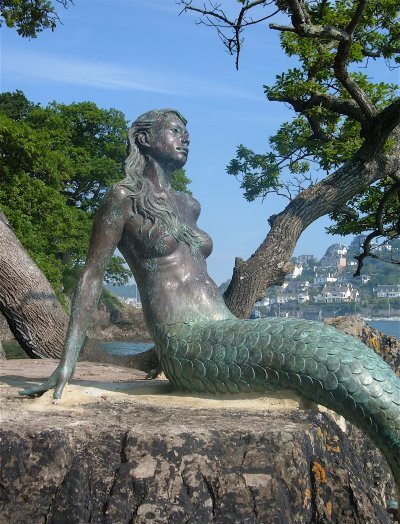 Mermaid statue – Miranda, Mermaid of Dartmouth. Photo and copyright by Martin Brewster. Miranda, the Dartmouth Mermaid. Photo and copyright by Toby Hetherington, used with his permission. 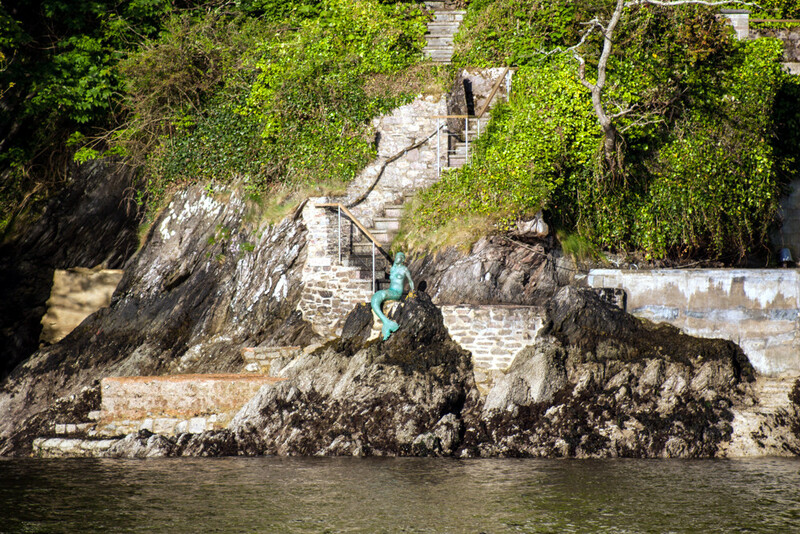 Dartmouth mermaid near Dartmouth Castle. Photo by Mark Robinson. Miranda, The Dartmouth Mermaid. Photo by Viv Marsh. 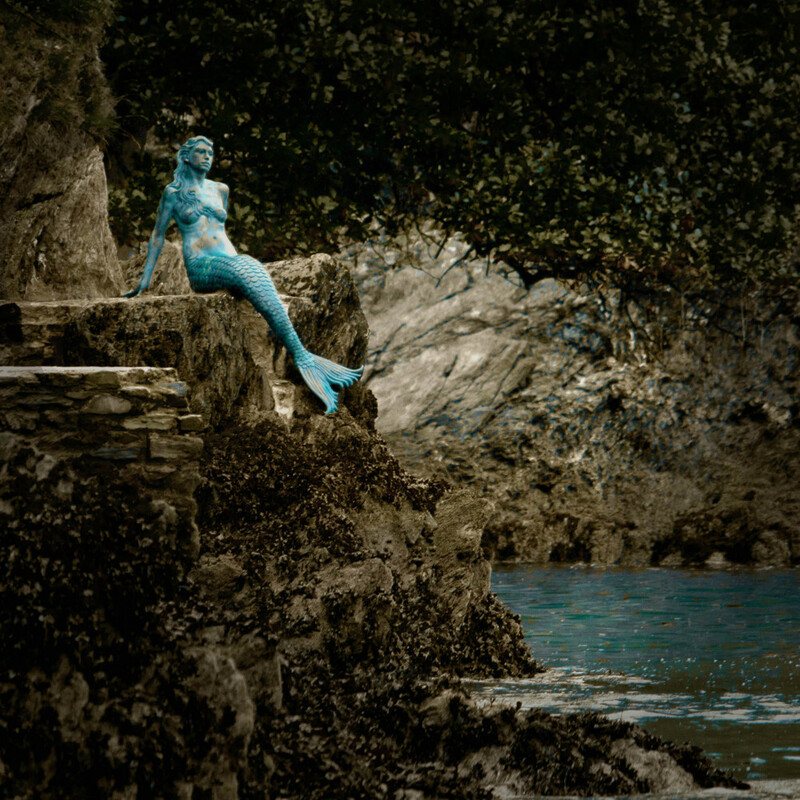 Miranda, Mermaid of Dartmouth. Bronze statue by Elisabeth Hadley. 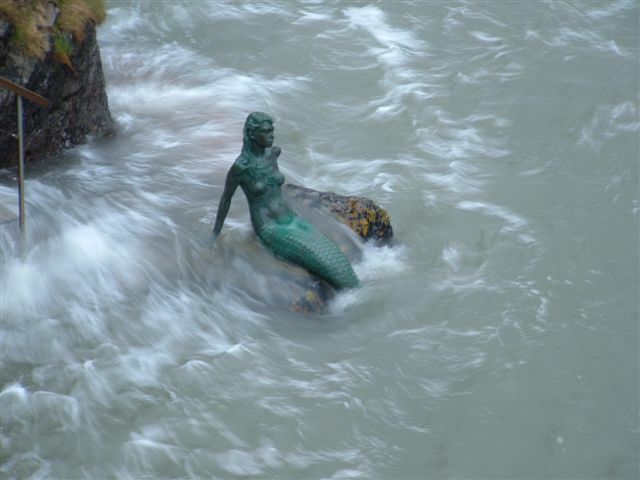 Mermaid statue – Miranda, Mermaid of Dartmouth, with her tail under water at high tide. 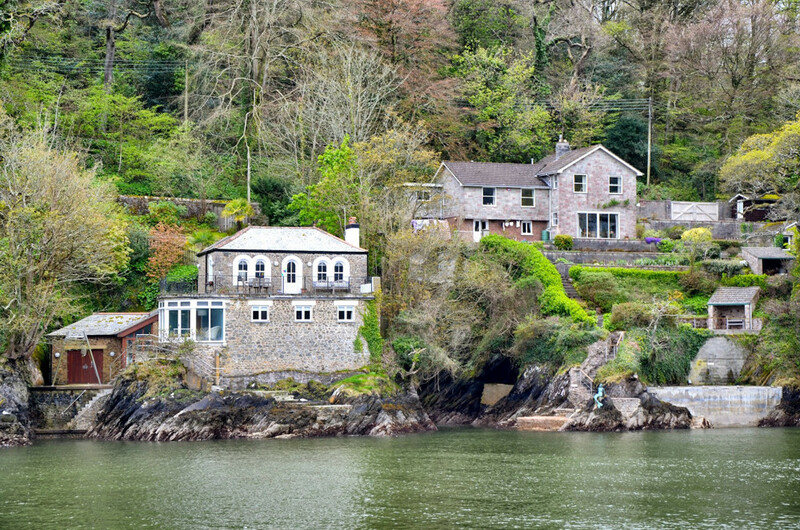 As the mouth of the River Dart in this area forms an estuary, the water is part fresh water from the river and part salt water coming in with the tides.. Photo and copyright by Heather Robinson. Miranda, Mermaid of Dartmouth. Photo by sculptor Elisabeth Hadley. 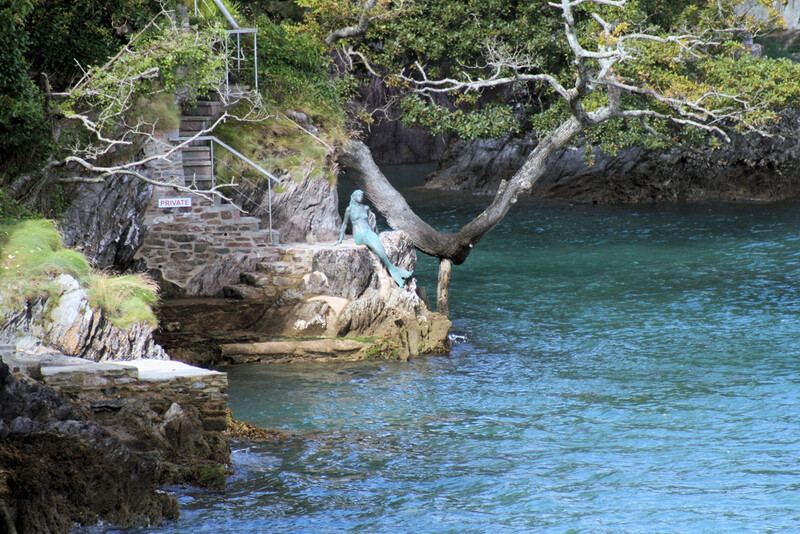 This statue sits on private property, but is easily seen from the River Dart and from Dartmouth Castle. If would like to add information or photos of this mermaid statue to this collection, please contact us.